*Note - If you need to lower the cost of any of these crafts you could use foam or paper cups. They will not be as durable as using clay pots but will still be a decorative craft. Turn a clay pot into a cute turtle. These snowmen are adorable and easy to make. We made these using foam cups, and used the sock material for the hat and the scarf. This is from kinderart.com. *Note - Some of the crafts below could be made with card stock but will not be as durable. I have found that tacky glue or a special foam glue works best with foam projects. A brightly colored foam fish to remind kids of Jesus. This is from kidsdundayschool.com. A cute bee door hanger for kids to make. You could use small pieces of pipe cleaners instead of wire to attach parts. This is from allfreecrafts.com. To save money, use your pattern made from card stock as the back of the frame. I would also space the punched holes a little further apart. From craftsforkids.com. A cute turkey door hanger from pacon.com. These patterns will need to be enlarged, but will give some ideas on making bugs out of foam. They would make cute refrigerator magnets. These are from thefamilycorner.com. *Put the dried beans, peas, corn, or rice in small containers. Use tacky glue to glue the beans to cardboard or canvas. We covered the finished projects with mod-podge. This is a fun project for kids. We made fish bean bags in VBS with the younger children. We used rice instead of beans and prepared the rice in plastic bags taped with duck tape before inserting in the sock. The children put eyes and mouth on the fish and decorated them. A great way to make different shape bird feeders. A seed craft for younger kids. This is an easy way to make a frosted solar light. A craft project from JoAnn.com. 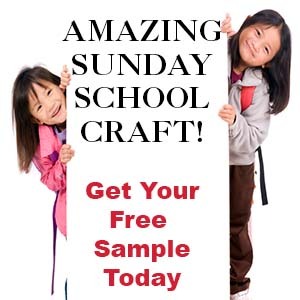 A large number of interesting and unusual craft activities for children.